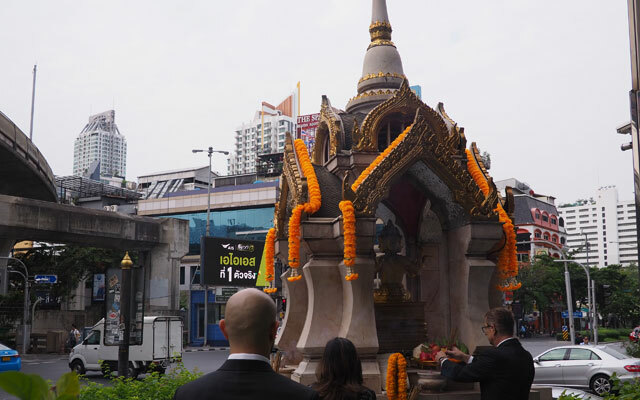 Diethelm Travel Group has moved its headquarters to a new office location in Bangkok, which welcomed its first visitors last week. 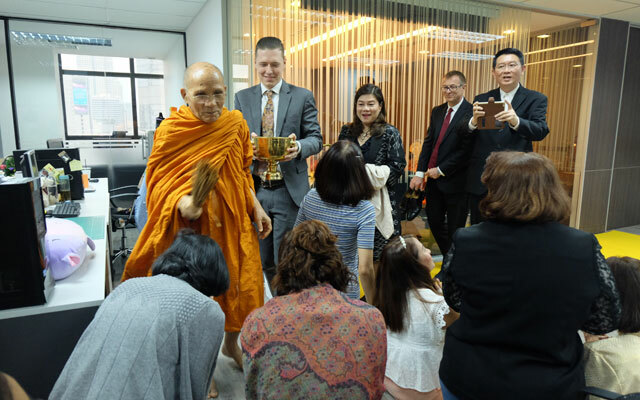 Beginning with a morning blessing ceremony performed by Buddhist monks for staff and select guests from the media, the day continued with a hosted lunch followed by an afternoon open house. 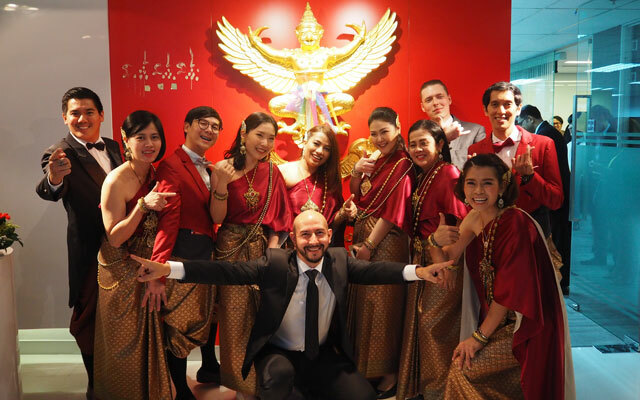 The Diethelm Travel team, dressed in traditional Thai attire, then met with clients and special attendees, including over 160 hoteliers, for a social afternoon tea. 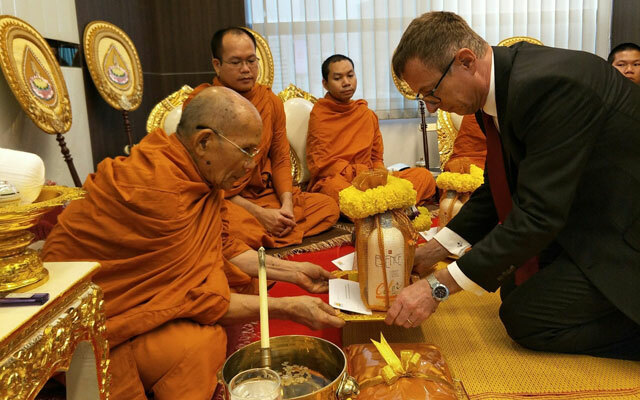 In lieu of gifts or flowers, attendees contributed donations for the Saijaithai Foundation to help support regions of southern Thailand recently affected tropical storm Pabuk. The new office is located at No. 140/7, ITF Tower, 8th Floor, Silom Road, Suriyawong, Bangrak. Its main line phone number is now (66) 2 782 7000.